Salt Lake Community College is a big school, with thousands of students who have vastly varying interests. With these different interests come tons of clubs to get involved in. Clubs at SLCC allow students to come together and meet other people who share the same interests, while also offering a way to be active on campus. 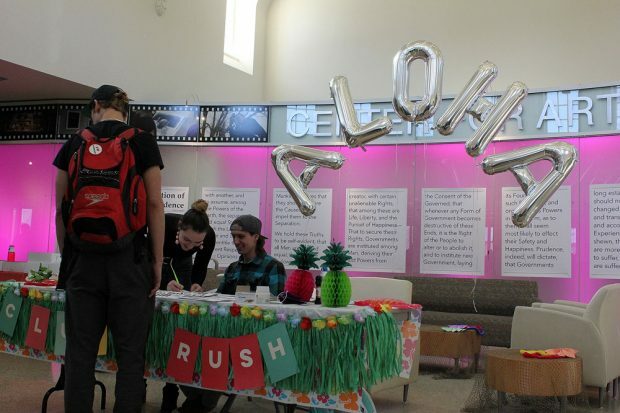 This semester, Club Rush was held the week of Jan. 15 at three different campuses. 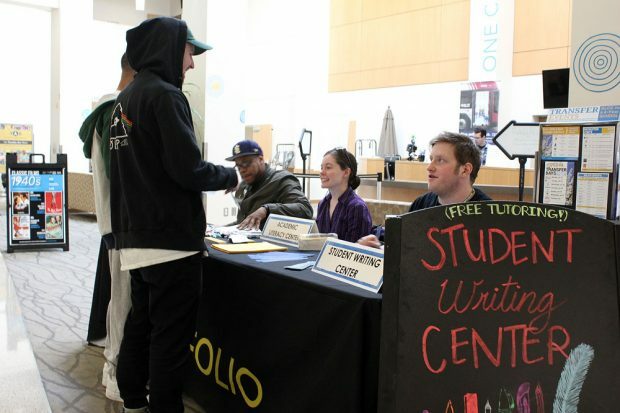 The main hall at South City Campus was filled with dozens of tables promoting each club, and free doughnuts and candy were served. This club stands with Planned Parenthood and helps teach members about sexual education and resources such as Planned Parenthood. Students for Choice also raises awareness for sexual assault by marching at the Capitol and holding charity events, including fundraisers for those who have been affected by sexual assault. This club supports the LGBTQ+ community and their allies. Rainbow Pride promotes equality and provides a safe space for students to go if they feel they are being discriminated against. Folio is an award-winning art and literary magazine at SLCC. Students can submit their artwork, poems, and short stories. The submission deadline for spring semester is March 9. This club was organized for students who would like to learn American Sign Language or become a part of the ASL community. The ASL Club also helps those who are hard of hearing by helping them get more involved with college life. Share your love of cooking with your fellow classmates by joining the Culinary Arts Club. Students can participate in fun cooking events and activities by joining this club. Students that join the drama club can participate in many activities with fellow students who are interested in acting. The club holds many meet-and-greets and other fun events. For a complete list of SLCC clubs, including contact information for club presidents and advisors, visit Student Life and Leadership.